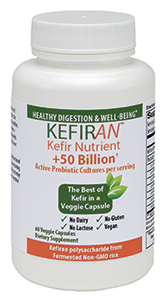 KEFIRAN is the best of the traditional Kefir drink in a veggie capsule. 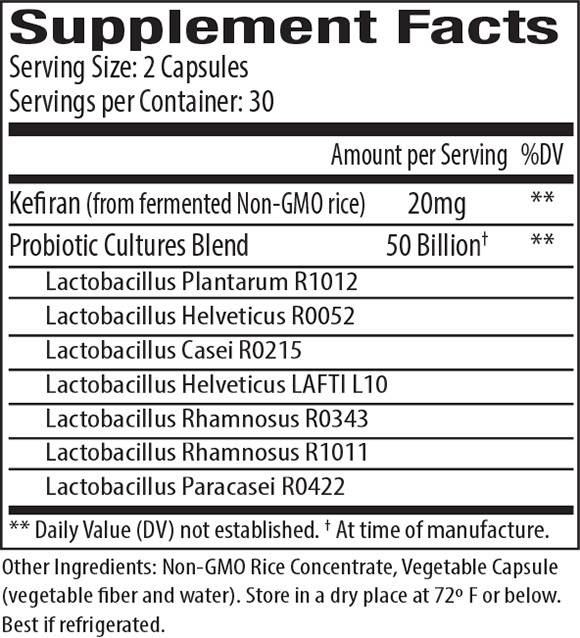 KEFIRAN contains NO dairy, lactose or gluten. KEFIRAN is vegan and low calorie. During fermentation, the L.Kefiranofaciens in traditional kefir produces kefiran a polysaccharide that – along with the probiotic cultures- is believed to be the primary source of kefir’s health benefits. 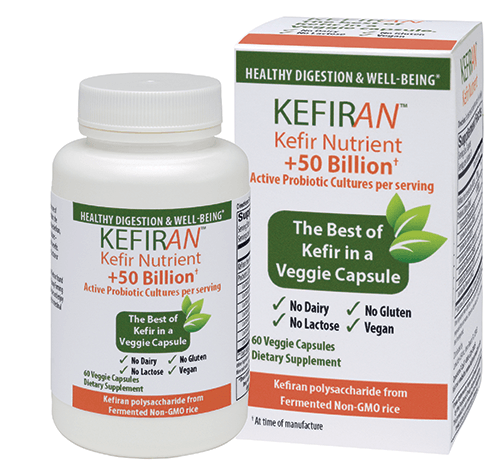 If your stomach is rumbling, your colon is grumbling, and you just don’t feel as good as you’d like, try KEFIRAN – the best of kefir in a Veggie capsule. KEFIRAN contains No dairy, lactose or gluten.